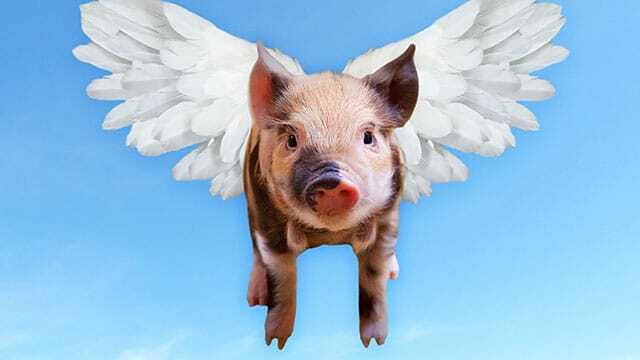 A friend asks you if something will ever get done, and you reply, "when pigs fly." If your friend has lived in an English-speaking culture for any length of time, they'll probably understand that this means "never." The statement might make little sense if literally translated into another language. Though their figurative meaning might differ from the literal, idioms have an important role to play in language and communication. They'll amplify your message in a way that draws your audience in and helps to awaken their senses. Knowing idioms in other languages is the difference between mechanically parroting a series of words in a grammatically correct fashion, and beginning to "think" in that language. Idioms can also be a clue to the customs and values of a foreign culture. Besides, they're cool. The first time you use a foreign idiom, to the evident appreciation of a native speaker, is one of triumph. "Seeing the reflection of a bow in a cup and thinking it's a snake"
"To walk around hot porridge"
"To have a pin in your ear"
"It costs me a rib from my body"
"To let a frog out of your mouth"
"It cost me my head's eyes"
"I only understand the train station"
"At the end of the world, turn left"
जंगल मेँ मोर नाचा किसने देखा? "Peacock danced in the forest, who saw?" "An owl says to a sparrow that they have a big head"
"To wear a cat on one's head"
"They sewed a hat to Peter who is not born yet"
"To pace around hot porridge like a cat"
"Water does not trickle out of his hand"
Słoń nastąpił ci na ucho? "Did an elephant stomp on your ear?" "To push something with your belly"
"A crow is never the whiter for washing herself often"
"It's too late to ring after the hail"
"If you don't seal a crack in the wall, you will have to rebuild the wall"
"There's no cow on the ice"
"One afternoon in your next reincarnation"
"A hungry dog will break through a bakery"
"Blind eyes what two eyes"
"The big ones often meet"
"He likes to be looked at like a long-hairy goat"